November 11.11 is now behind us, but that means Black Friday and Cyber Monday are soon approaching and as usual I’ve gathered some deals or events geared towards an International audience, mostly through various China based online shopping websites. 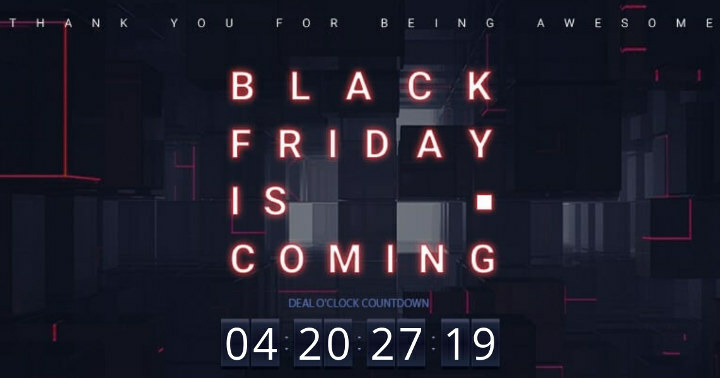 GearBest Black Friday activity has already started with the run-up stage on November 14-21 with deposit expansion and lucky draw, followed by the main event taking place on November 21-26 with $100-$200 coupons and 24-hour flash sale, and finally Cyber Monday event from November 26-31 with activity details to be determined. Banggood’s Black Friday Sales has already started with up to 10% discount coupons (e.g. BGBlack6% which should just be 6% discount though) until November 17th, prizes in Banggood shopping app thereafter, and free orders to some lucky during the main event on November 21-24. DealExtreme Black Friday warm-up deals takes place until November 21st with 10,000 free gift, up to 8% extra off, and up to 89% off. Aliexpress’s Black Friday & Cyber Monday sale has somewhat started with coupons for Black Friday available from November 19, and to be used during the main event on November 23, and again on November 26 for Cyber Monday. Seeed Studio’s Black Friday sale is taking place on November 20-27 with BLACKFRIDAY coupon offering 20% discount on orders of $100 or more. If you are into tuners, TBS is offering their TBS6909 DVB-S2 Satellite 8 TV Tuner OCTA PCIe Card for $235 (instead of $299) and TBS2603 HD H.264/H.265 HD HDMI Encoder for IPTV for $165 (instead of $199). I’ll keep updating this post with main event, and post specific products promotions in the comments section. Happy shopping! Added DealExtreme Black Friday Warm up deals. Still 35% off now, but with CYBERWEEK coupon instead. Same link still valid for Tindie Cyber Monday deals. Atom running Linux, marked as box new, for $35 USA. But are they any use or to old a design, I don’t know.